According to CompactEquipment.com, there were 14 brands of skid steer loader available in North America as of 2016. These brands are Bobcat, Case, Cat, Gehl, JCB, John Deere, Kubota, Mustang, New Holland, Takeuchi, Terex, Volvo, Wacker Neuson and Yanmar. Skid steer loaders with the engine power of 65-80 HP are the most preferred loaders by customers, according 2017 report by FactMR. According to Bobcat, approximately one Bobcat skid-steer loader is built every 12.5 minutes. That is quite a few skid steer loaders in a week. According to OSHA, there were four fatalities related to skid steer loaders in 2017: two related to being struck by a skid-steer loader, one where the operator was killed while cleaning around a crushing plant machine, and one where the skid steer loader and operator fell through the ice. A John Deere 332E was auctioned off for $50,000 in December 2016, the top auction price of the year for skid steers. It was a Ritchie Bros. auction in December of 2016 in Sun Valley, California, according to Equipment World. The skid steer loader only had 72 hours on it. The most powerful skid steer loader available in the United States is the Gehl 7810E at 99 hp, based on data from Construction Equipment Guide. That is definitely a powerful skid steer loader! According to Construction Equipment Guide, the skid steer loader with the widest body is the Bobcat S850 at 80 inches. It has an operating capacity of 3,950 pounds and 92 horsepower. That is definitely not a little skid steer loader. RitchieSpecs data indicates that the heaviest skid steer loader is a tie between the Gehl 7810E and the Mustang 2109, both weighing in at 10,520 pounds. That's just over 5 tons! This tie isn’t surprising since Manitou owns them both. Most skid steer sales occur in the midwest (possibly due to the strong agricultural industry there) while compact track loaders dominate in coastal regions, according to CompactEquipment.com. 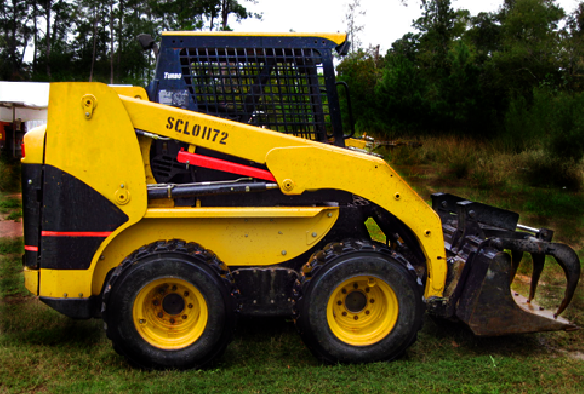 The skid steer with the largest operating load rating is the Bobcat S850 at 3,950 lbs. This monster of a skid steer also weighs 10,008 lbs and offers 92 hp, based on information from RitchieSpecs data. 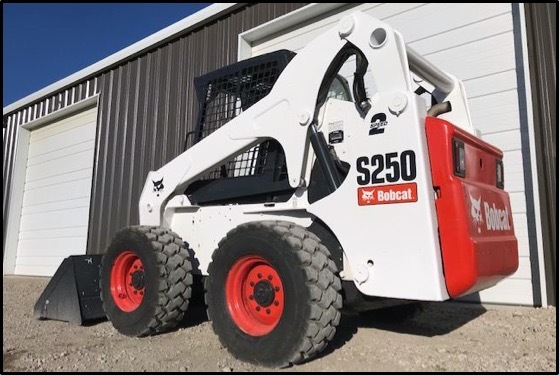 Skid steers are awesome machines that combine versatility, lifting power, and a compact size into the perfect package for getting tough jobs done. From their birth back in the 1950s until today, they remain one of the most popular compact machines on the market.